If you have been arrested for domestic violence, do not take your charges lightly. A conviction for domestic violence may be more serious than you realize. In addition to criminal penalties, your conviction could potentially impact your future employment opportunities, your right to own a firearm or even your parental rights. For the strong defense you require, contact Cotter & Zelman, P.A. We defend clients against domestic violence charges, battery charges, violation of a restraining order, domestic violence injunction orders, and related offenses. To schedule a free consultation with an experienced Winter Park domestic violence attorney at our firm, contact us today. People who are accused of domestic violence often have misconceptions about the criminal justice system. Do not assume that the prosecution will drop your charges because your spouse or significant other does not want you to be prosecuted. The prosecution may compel the presence of the alleged victim at trial by subpoena. A domestic violence conviction may result in many collateral consequences that you have not considered. Your conviction may be used against you in a child custody dispute or may impact your time sharing with your children. If you apply for a job, your conviction may be discovered as a result of a criminal background check. Our partners, Kenneth J. Cotter and Andrew Zelman, each have more than 30 years of legal experience. Mr. Cotter and Mr. Zelman are each former prosecutors. We believe strongly that every person who is accused of a crime has a right to a zealous defense. We have defended many clients against domestic violence charges, battery charges and related offenses. We understand that police reports often do not tell the entire story. We will take time to listen to your side of the story, investigate the facts of your case, identify defenses that may be used to bolster your defense and aggressively defend your rights. As a client of our firm, you will have a strong advocate on your side. 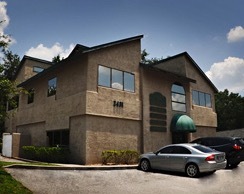 From our office in Winter Park, we represent clients throughout central Florida. To schedule a free consultation with a Winter Park criminal domestic violence lawyer at our firm, call 407-629-4711 or contact us by email.